(Confederate Violet (Viola sororia f. priceana) - 01) The primary characteristic of the confederate violet is its purple veined white petals. It is common in the South and relatively rare in the North. 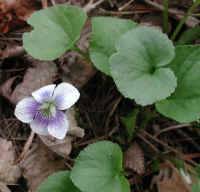 There seems to be considerable discussion over how to arrive at the correct scientific name for the confederate violet. 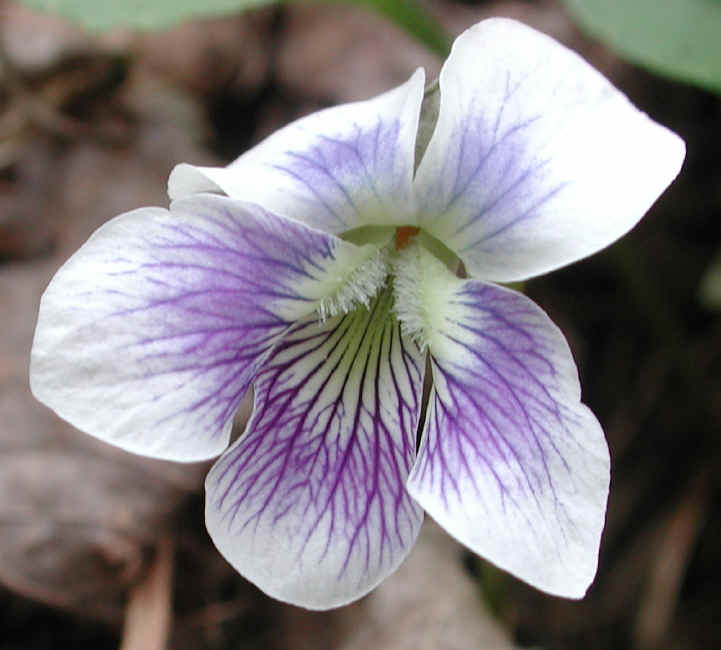 Most people seem to agree that priceana is a form of the Viola sororia, and not a separate species, hence, the name listed above.